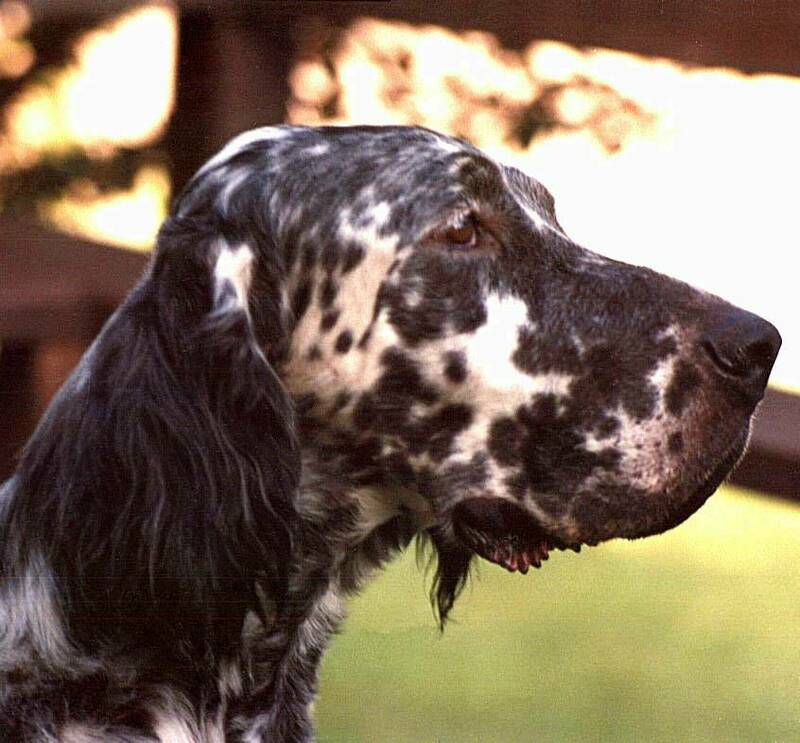 Suzanne Sliney's Andover Kennel in the Berkshires of Massachusetts has been breeding quality dual purpose English Setters since 1967. 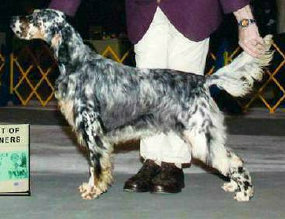 She is producing Champion Show Dogs that are also stylish foot hunters. Her focus on conformation, temperament, soundness, trainability, intelligence and strong hunting instincts continues these strengths of the old Clariho line that provided her foundation. 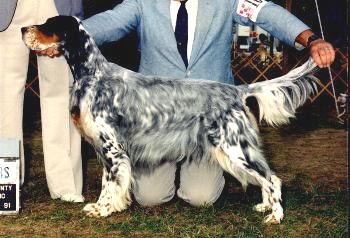 The many Champion English Setters in the Andover line are well known throughout the United States. 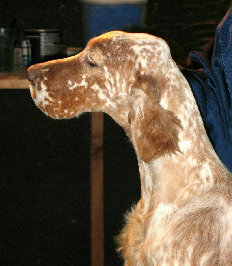 Their beauty, proper breed type and correct conformation have them in contention at every show. Her professional eye for selecting only the finest examples of the breed to use in her breeding program produce superior English Setters. Her focus on breeding the Laverack Setter has brought about healthy energetic animals with a desire to be the best friend they can possibly be. 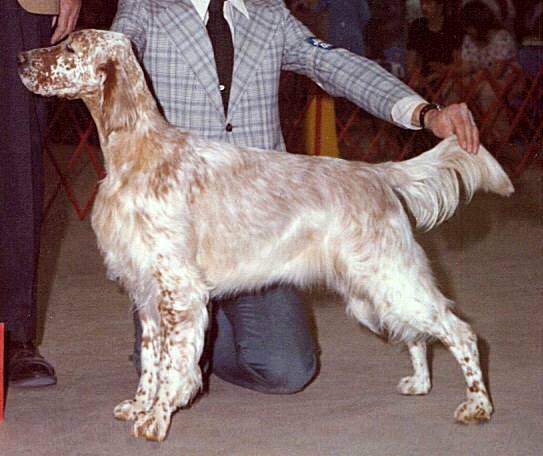 These Setters are the true example of the Classic Line and represent the highest standards set by the American Kennel Club. They conform to the AKC Breed Standard for English Setters. 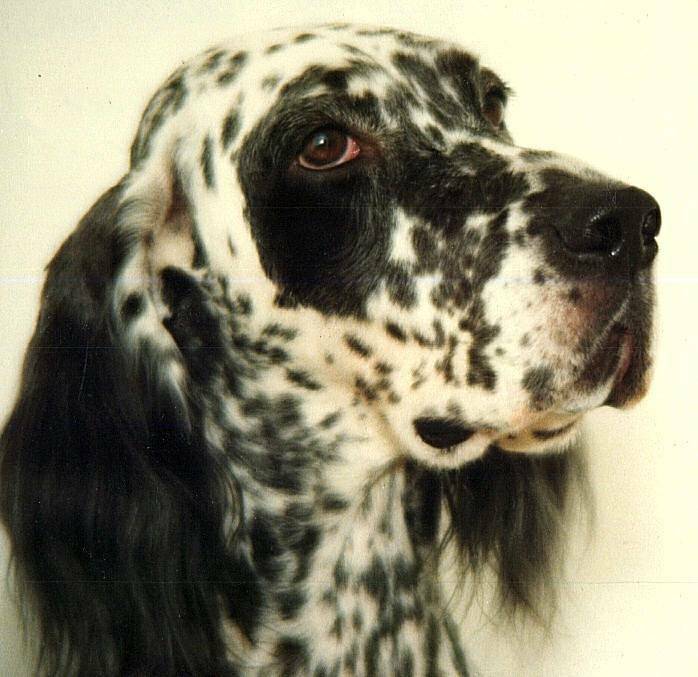 Suzanne Sliney is a member of the English Setter Association of America and the English Setter Club of New England, and a Director of the Great Barrington Kennel Club, as well as a signer of the Code of Ethics of each of these clubs. 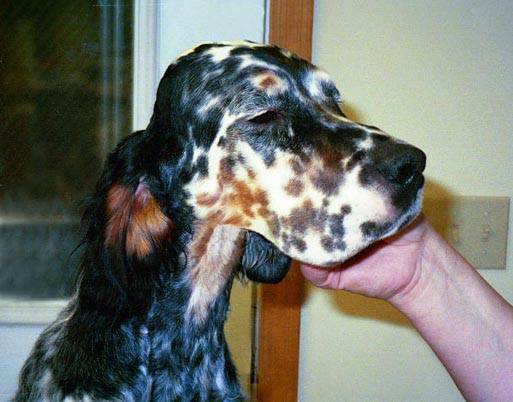 All Andover English Setters' breeding stock are x-rayed and certified by the Orthopedic Foundation for Animals and are BAER hearing tested before sale. She offers a written Lifetime Guarantee for ALL her Setters. 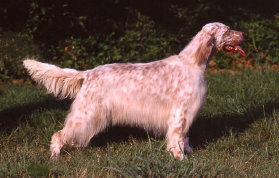 Her efforts do not stop with ensuring a quality English Setter but a potential buyer must also meet her requirements for ownership. One would be fortunate indeed to own an Andover English Setter to Show, to Hunt or Just to Love! This page in honor of Suzanne Sliney and her longtime efforts breeding towards the highest standards. This page in honor of Suzanne Sliney and her love for English Setters.